This rock was gathered just a few miles from home. It's known locally, along with other river rock, as "Brookwood Stone." In Chilton County, the composition of the gravels, derived from the Appalachian Mountains and distributed by the Coosa and Tallapoosa Rivers, is 10% chert and 90% Quartz. 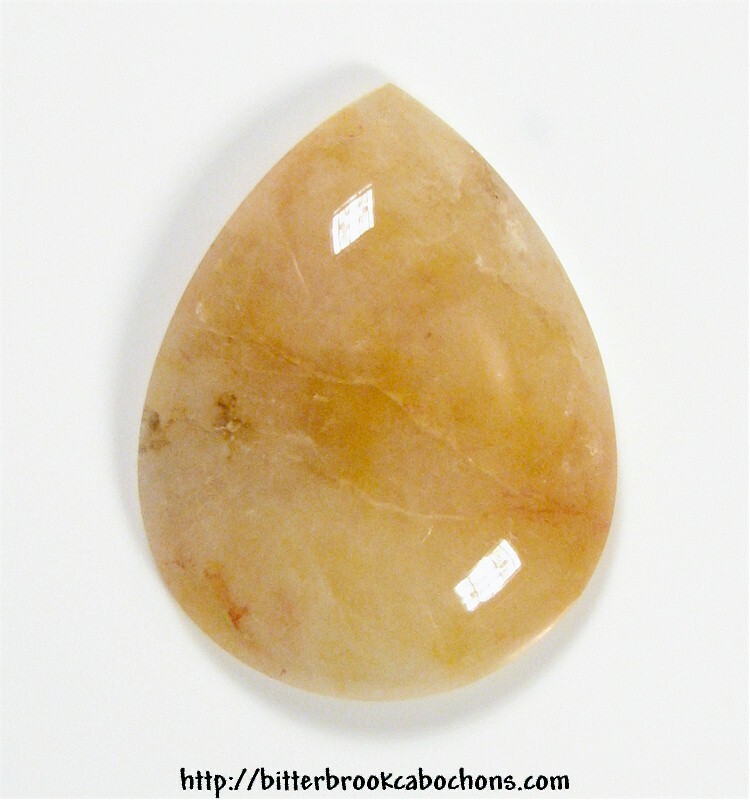 You can see fractures in this cabochon, but they're all stable and give the cab character. Looks good! Dimensions: 34mm x 26mm x 7.5mm. Weight: 46.75 carats.